Visit "Lock Haven IT Department" page for detail instructions. Make sure that "lhup-vpn" has already been connected. Note: Prior to accessing your LHUP web drive, you need to make sure that you have connected "lhup-vpn" with your domain username and password. 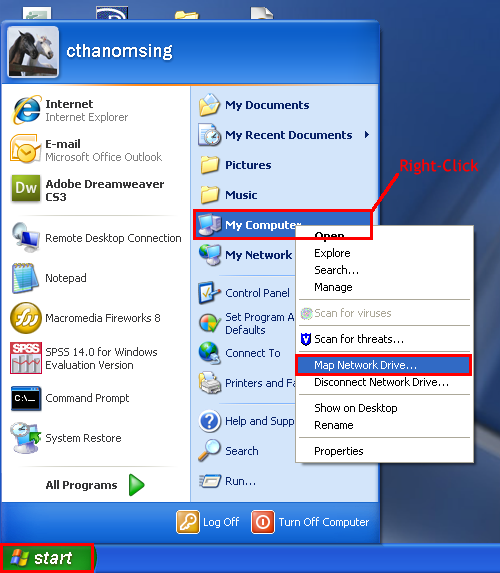 Instructions to connect and set up "lhup-vpn" can be found HERE..
Click on "Map Network Drive"
"Map Network Drive" window will come up. Make sure "Reconnect at logon" is CHECKED. 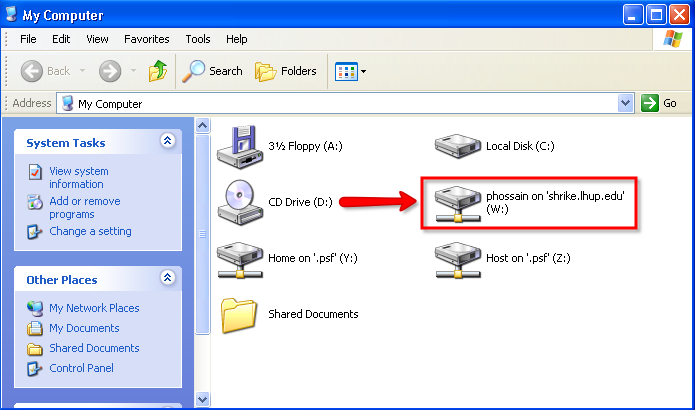 You computer will be trying to connect your LHUP web drive. 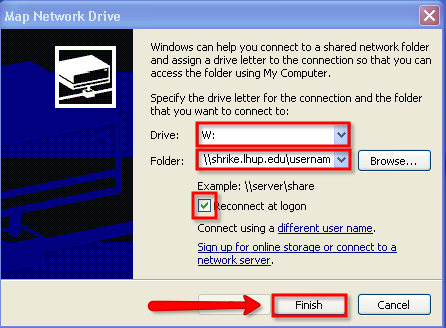 Note: Prior to accessing the new drive, make sure that you have successfully connected "lhup-vpn".